Anybody who knows me knows that I am a sports fanatic. I was, therefore, delighted to learn of Rugbytots which is the brainchild of Guy Leleu. Child is the correct word as he coaches rugby skills from just 2 years and upwards! I will let him tell his own story. Rugbytots was started in 2006 to fill a gap in the child development sector by using Rugby specific skills to aid in the development of young children. It has always been our belief that no child is too young to be told how to carry out certain tasks. Parents who have enrolled their children in Rugbytots have been amazed how quickly their children can grasp a concept, and it is our consistent aim to provide the highest quality of coaching to ensure that development continues to occur on an incremental scale. All Rugbytots lead coaches are pediatric first aiders, RFU qualified rugby coaches, CRB checked and trained to a very high standard to ensure your children enjoy their time at Rugbytots in a safe and organised environment. 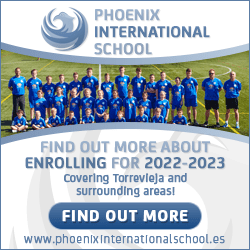 Rugbytots Spain launched in February 2009 and we will be seeking to build on the success of Rugbytots in the UK. The first areas in Spain to offer the Rugbytots experience are in Andalucia. We will be opening in Malaga, Marbella, Sotogrande and El Puerto de Santa Maria. Our venues offer both indoor and outdoor facilities, changing rooms and refreshment areas. We are keen to emphasise the social aspects of Rugbytots both for children and parents and this has been an important factor in our choice of site. Rugbytots in Spain is run by Guy Leleu. Guy was Head of P.E. at Aloha College for six years and has played and coached rugby to a high level both in the UK and in Spain. His background in rugby and education make him the ideal person to spread the Rugbytots message of using rugby to teach key physical and social skills in a fun and structured environment.